This reading group guide includes an introduction, discussion questions, ideas for enhancing your book club, and a Q&A with author Chris Cleave. The suggested questions are intended to help your reading group find new and interesting angles and topics for your discussion. We hope that these ideas will enrich your conversation and increase your enjoyment of the book. Little Bee, a young Nigerian refugee, has just been released from the British immigration detention center where she has been held under horrific conditions for the past two years, after narrowly escaping a traumatic fate in her homeland of Nigeria. Alone in a foreign country, without a family member, friend, or pound to call her own, she seeks out the only English person she knows. Sarah is a posh young mother and magazine editor with whom Little Bee shares a dark and tumultuous past. They first met on a beach in Nigeria, where Sarah was vacationing with her husband, Andrew, in an effort to save their marriage after an affair, and their brief encounter has haunted each woman for two years. Now together, they face a disturbing past and an uncertain future with the help of Sarah’s four-year-old son, Charlie, who refuses to take off his Batman costume. A sense of humor and an unflinching moral compass allow each woman, and the reader, to believe that even in the face of unspeakable odds, humanity can prevail. 1. “Sad words are just another beauty. A sad story means, this storyteller is alive” (p. 9). For Little Bee and other asylum seekers, the story of their life thus far is often all they have. What happens to the characters that carry their stories with them, both physically and mentally? What happens when we try to forget our past? How much control over their own stories do the characters in the book seem to have? 2. Little Bee tells the reader, “We must see all scars as beauty. Okay? This will be our secret. Because take it from me, a scar does not form on the dying. A scar means, I survived” (p. 9). Which characters in the story are left with physical scars? Emotional scars? Do they embrace them as beautiful? Do you have any scars you’ve come to embrace? Did you feel more connected to Little Bee as a narrator after this pact? 3. Little Bee strives to learn the Queen’s English in order to survive in the detention center. How does her grasp of the language compare with Charlie’s? How does the way each of these two characters handle the English language help to characterize them? 4. How did it affect your reading experience to have two narrators? Did you trust one woman more than the other? Did you prefer the voice of one above the other? 5. Little Bee credits a small bottle of nail polish for “saving her life” while she was in the detention center (p. 7). Is there any object or act that helps you feel alive and beautiful, even when everything else seems to be falling apart? 6. Of the English language Little Bee says, “Every word can defend itself. Just when you go to grab it, it can split into two separate meanings so the understanding closes on empty air” (p. 12). What do you think she means by this? Can you think of any examples of English words that defend themselves? Why is language so important to Little Bee? 7. Little Bee says of horror films, “Horror in your country is something you take a dose of to remind yourself that you are not suffering from it” (p. 45). Do you agree? Was reading this novel in any way a dose of horror for you? How did it help you reflect on the presence or lack of horror in your own life? 8. Little Bee figures out the best way to kill herself in any given situation, just in case “the men come suddenly.” How do these plans help Little Bee reclaim some power? Were you disturbed by this, or were you able to find the humor in some of the scenarios she imagines? 9. 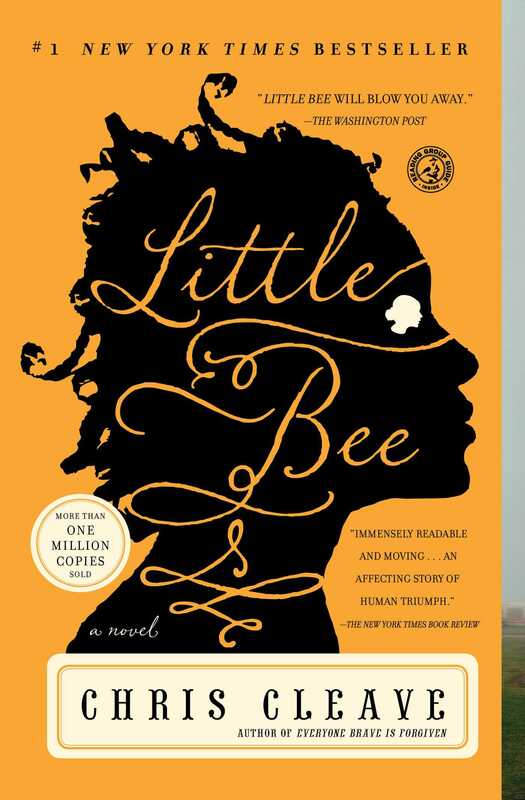 What does Udo changing her name to Little Bee symbolize for you? How does her new name offer her protection? Do you think the name suits her? 10. “To have an affair, I began to realize, was a relatively minor transgression. But to really escape from Andrew, to really become myself, I had to go the whole way and fall in love” (p. 161-162). Do you agree with Sarah that an affair is a minor transgression? How did falling in love with someone else help Sarah become herself? What role did Andrew play in perpetuating Sarah’s extramarital affair? 11. When Little Bee finds that Andrew has hanged himself she thinks, “Of course I must save him, whatever it costs me, because he is a human being.” And then she thinks, “Of course I must save myself, because I am a human being too” (p. 194). How do the characters in the story decide when to put themselves first and when to offer charity? Is one human life ever more valuable than another? What if one of the lives in question is your own? 1. 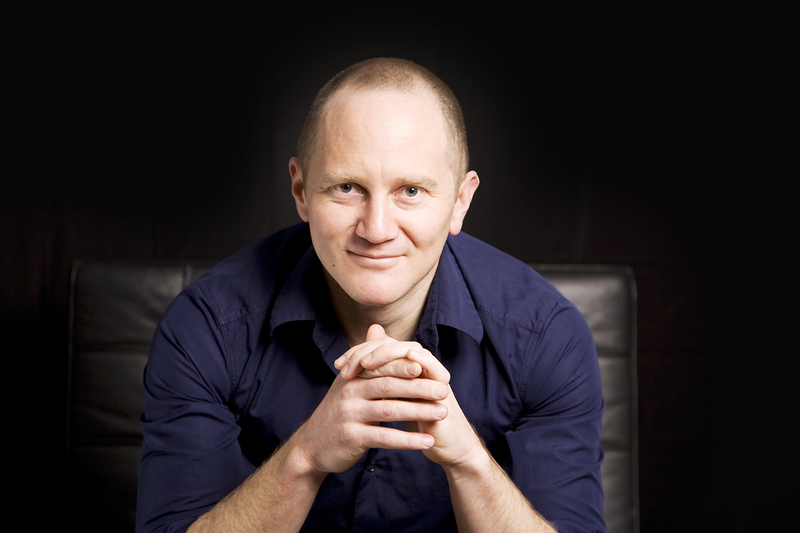 Visit Chris Cleave’s website at www.chriscleave.com. You’ll find videos, reviews, behind-the-book extras and interviews. 2. Little Bee says, “I have noticed, in your country, I can say anything so long as I say that is the proverb in my country. Then people will nod their heads and look very serious” (p. 180). Take this opportunity to make up some proverbs to share with your book club. Are there any sayings from your culture that might be a good start? 3. Little Bee and her sister chose new names for themselves. Have your book club members rename one another. Choose names based on characteristics, like Little Bee’s sister Kindness, or on things in nature, like Little Bee. 4. To find out more about asylum seekers here in the U.S. visit http://www.humanrightsfirst.org/asylum/asylum.htm. 1- Why did you choose to open the novel with the quote from Life in the United Kingdom: A Journey to Citizenship? What does the typo in this quote mean for you? The quote is “Britain is proud of its tradition of providing a safe haven for people fleeting [sic] persecution and conflict.” I took it from Life in the United Kingdom, which is the text book given to immigrants preparing for their citizenship test in the UK. It covers British history, government and etiquette. It offers the excellent advice “If you spill a stranger’s drink by accident, it is good manners (and prudent) to offer to buy another.” Less gloriously, though, its summary of British history is rather selective, and the work as a whole is riddled with inaccuracies and typographical errors. My belief is that if a refugee is prepared to walk away from a regime that has imprisoned and tortured her, flee to the UK, apply for asylum, and commit to memory the contents of the text book we make compulsory for her, then for our part we should at least be prepared to have that text book professionally copy-edited. The typo in that opening quotation is a nice example of a bureaucracy that is pretending to care, but not pretending very hard. 2- What challenges did you encounter using two narrators? How did using two voices allow you to tell the story more thoroughly? What were some difficulties you faced writing from a female perspective? Sarah and Little Bee are each strong, extraordinary women; how did you show their strength through their very different styles of narration? I knew this was a compelling story but after agonizing over which character would be the best one to narrate it, I realised that the strongest perspective would actually be a dual one. This is a story of two worlds: the developed and the developing, and of the mutual incomprehension that sometimes dooms them to antagonism. So by taking one woman from each side of the divide, and investing each with a compulsion to understand the other, I was able to let the story unpack itself in the mind of the reader. This was a huge breakthrough for me. One shouldn’t underestimate the role of the reader in this novel. I wanted to write a story that was never made fully explicit; which relied on the reader’s interpretation of the characters’ dialogue. Once you trust the reader with the story, the writing is really fun to do. It’s not without its technical challenges, of course. As a man it requires concentration to write from a female perspective, but I see that as an advantage. If I’m consciously writing someone so different from myself, then I’m protected from the trap of lazily using my own voice to animate the character. It forces me to listen, to think, and to write more precisely. Using two narrators is difficult though. To differentiate their vocabulary, grammar and idioms is quite straightforward if you make an effort to understand and inhabit the characters, but the hard thing is how you handle the overlaps and the gaps in the characters’ knowledge. When both narrators have witnessed an event, which one will you choose to recount it? Or will you let both of them tell it, and play with their different perspectives on what they’ve seen? When you use your narrators in series, you need to work to make it not feel like a TV show with bad links between segments. But when you use them in parallel, you need to take pains to avoid the text feeling repetitive. Add into the mix the fact that the story is not told in linear time – the first half of the book is working backwards into history, while the second half works forwards into the future – and you start to see the complexity of writing like this. The trick is to make it read smoothly. It’s scary how many drafts you go through till you achieve something that reads simply. There are days when you love the work and days when you wish you had almost any other job. 3- Lawrence tells Little Bee, “If you understood how serious your situation is, I don’t think you’d smile.” To which she replies, “If I could not smile, I think my situation would be even more serious” (p. 186). How were you able to find a balance between humor and gravity in a novel with such serious themes? I was able to do it because I have good readers. I can have my characters explore some fairly dark humor – for example, listing methods for a young Nigerian girl to kill herself at a garden party hosted by the Queen of England – while trusting my readers to understand that I am not making light of a serious theme. Rather, I am offering up a dark theme to the light, so that it may be examined. This is the only way I know to tell a serious story about current events without it becoming a lecture. And when I interviewed refugees and asylum seekers while researching this novel, I found that some of them use humor in this way too. These are people with very painful stories to tell. They have learned that in order to survive, they must get people in positions of power to listen to – and believe – their stories. And they have further learned that such people are more likely to listen if they make their stories entertaining, by showing the joy of their lives as well as the tragedy. They are the masters at telling their stories - because if they don’t get that balance right, they die. That’s motivation, right there. As far as storytelling goes, they’re playing in the major leagues. Novelists are rank amateurs by comparison. 4- How do you think American readers may approach the story differently from British readers? What might be lost on them? What about the story is universal? Nothing’s going to be lost on American readers. This is the story of an African girl coming to the Western world and struggling to be accepted. She encounters racism, hostility and betrayal, but she also finds good people and friendship, and she becomes a strong person - in some ways stronger than both the society she came from and the one she finds herself in. Americans are going to understand this story quicker than a lot of British people will. You have an extraordinary history of immigrants coming to America – either forcibly or voluntarily - and striving to find their place within it. Little Bee’s personal struggle is an allegory of the struggle of every people that has ever hoped for a better life and known that it has something to contribute. This is a story that is written deep in your national identity, and my own country would be better off if we took a leaf out of your book. 5- Little Bee often talks about how she would have to explain things to “the girls back home.” How can looking at our culture through the eyes of a foreigner help clarify things? The “girls back home” are the novel’s Greek chorus – they are a foil in whose imagined reaction the cultural dissonance experienced by Little Bee can be made explicit. It’s a good device because it feels more natural than having Little Bee go around talking straight to camera and saying “Wow, I’m freaked out by this. And this. And this.” Much better for us to have Little Bee’s thoughts after she has understood the situation and can explain it to the “girls back home” from a position of superior knowledge. This allows us to appreciate the cultural gulf, whilst allowing the narrator to be comic rather than tragic. So, Little Bee is the foreigner and the “girls back home” are her device. I look at human culture the same way science fiction does, but I look at it through the wrong end of the telescope. In sci-fi an ordinary protagonist discovers an extraordinary world, and the genre is exciting because of the emotional dissonance. But my thing is contemporary realism, so I’m always showing the ordinary world to what is effectively an extraterrestrial protagonist. It’s fun to do. Through this lens the most mundane events – Little Bee drinking a cup of tea in Sarah’s kitchen – acquire an immense significance and a certain beauty. Also, the things in our culture that are sad and ignoble – the fact, for example, that we can enjoy our freedom while imprisoning and deporting those who ask to share in it – appear in sharp focus through the eyes of an alien narrator. We have become accustomed to viewing our own immorality in soft focus, but the alien narrator has not yet acquired this cultural immunity. She sees us as we can no longer see ourselves. 6- How did Andrew help to characterize those around him? Both Sarah and Andrew are morally flawed. How do you expect readers to react to Andrew’s actions on the Nigerian beach? How might they react to Sarah’s affair with Lawrence? I don’t have a preconception of how readers will react to that scene. My aim was to create a scene that was perfectly morally ambiguous, and in which the reader might quite justifiably side with either Andrew or Sarah. Andrew isn’t such a bad guy. What he fails to do on the beach is what most people would probably fail to do, myself included. Once Andrew realizes he’s made the wrong choice, it’s too late for him because the moment has passed and he is condemned to spend the rest of his days regretting that he failed life’s test. Sarah is lucky, really. She’s not inherently more moral than her husband, but just at that one critical moment she happened to do the right thing. This means that she can look back on her actions on the beach without too much guilt or shame. She can move on with the rest of her life while Andrew must enter a terminal decline. It’s ironic because Sarah’s infidelity is the reason the couple find themselves on the beach in the first place. And yet her premeditated affair goes unpunished by life, while Andrew’s momentary failure of courage dooms him forever. Life is savagely unfair. It ignores our deep-seated convictions and places a disproportionate emphasis on the decisions we make in split seconds. 7- Is Charlie/Batman based on your own children? What do you hope his presence in the novel will help to elucidate for the reader? How might we benefit from adopting the worldview of a child who sees everything in terms of “goodys” and “baddys”? Charlie is based on our oldest boy, who was four years old when I wrote the book. For six months he would only answer to “Batman”. For a whole week I just listened to him and took dictation, which certainly beat going out to work for a living. Charlie’s “goodies / baddies” worldview is endearing but of course it’s naive and he’s not in the book as an example of an ideal morality. Charlie is in the novel for two reasons. First because he’s funny and loveable – he gives the novel an emotional centre; a reason for the adult protagonists to not simply walk away from the situation and disperse. Second, Charlie is a study in the early formation of identity. Little Bee is a novel about where our individuality lies – which layers of identity are us, and which are mere camouflage. So it’s a deliberate choice to use the metaphor of a child who is engaging in his first experiments with identity – in Charlie’s case by taking on the persona of a superhero. 8- In a video on your website you mention that the book is, in some way, about “the horror of being alive in a world where atrocities happen.” Are there particular human rights issues you’d like to take this opportunity to call attention to? In the face of such monumental tragedy as is exposed in Little Bee, how can one person make a difference? Well, that’s a big question. I’m more qualified to answer technical questions about my writing but I’ll try to answer this, so long as we both agree that my answer has no more weight than anyone else’s. I guess I hardly need call anyone’s attention to the reality that there is more horror than happiness in the world. A billion people are hungry, hundreds of conflicts and wars are ongoing, tens of millions suffer from eradicable diseases, there is always at least one genocide underway somewhere on the planet, more people still live under dictatorships or oppressive regimes than live in free societies, and arms dealers still make more money than farmers. Of course individuals can make a difference, but the fact is that evil has had the whip hand in this world ever since Cain. That doesn’t mean we should stop trying to be good, but we shouldn’t kid ourselves either. Evil is not going to be vanquished. Our job is to resist it, and to plant the seeds of further resistance so that goodness never entirely vanishes from the universe. There are degrees of resistance. It starts when you give a dollar to a homeless person and it escalates to the point where people give their lives, as Ghandi did, or Martin Luther King Jr. One person can make a difference by traveling as far along that continuum as they feel able. 9- In doing research for the book, did you come across any facts or stories of particular importance to you that did not make it into the final draft? Would you share some with us? 10- What can we expect next from you? Are you working on anything new right now? Yes, I’m working very hard. 2008 was all about publishing and promoting “Little Bee” (or “The Other Hand” as it’s called elsewhere), so 2009 is all about getting back to writing. I’m halfway through a third novel, which is about war. I’m also writing a comic novel and a crime screenplay, so it’s going to be a big year for work.